Our household is so excited that spring is coming next week (although it doesn't quite feel like it here in NYC!) that when I was approached by fellow mompreneur Jerneal Gelfman of NYC Kids Bookshop to do a review and giveaway I knew a spring theme was in order! Jerneal Gelfman, or Mrs. Gelfman as many people know her, is founder of NYC Kids Bookshop. 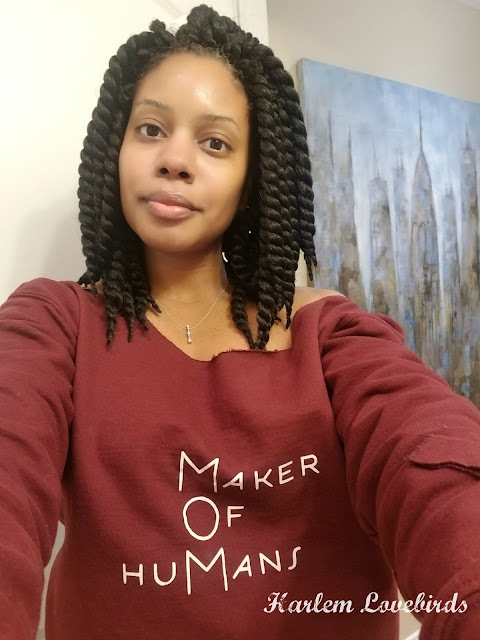 A mother of five young children, and a wife, she is provider of some of the most exciting, engaging, and educational children's books on the market today. Mrs. Gelfman became an Usborne Books & More Independent Consultant over a year ago, and is now a certified Educational Consultant serving public and private K-12 schools and libraries. NYC Kids Bookshop is an Usborne Books & More Educational Consultant - one of the leading children's book publisher, with over 1,400 titles, ranging from fiction to non-fiction, there are titles on many subjects and areas of interest. Including kid kits, puzzles/toy book, activity cards and supplemental educational materials. 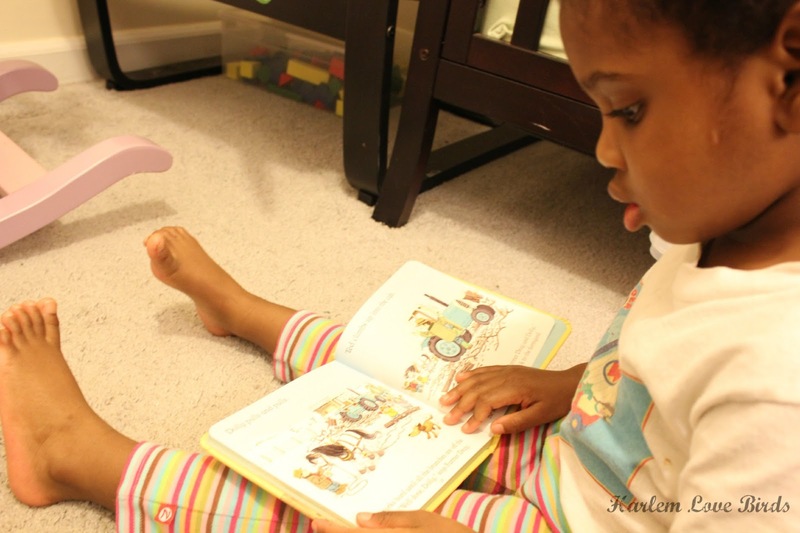 Their books are non-commercialized and for kids of all ages, even the young at heart. What I love about NYC Kids Bookshop is how easy it is to browse the website and how the books are organized not only by theme, but age appropriateness as well. 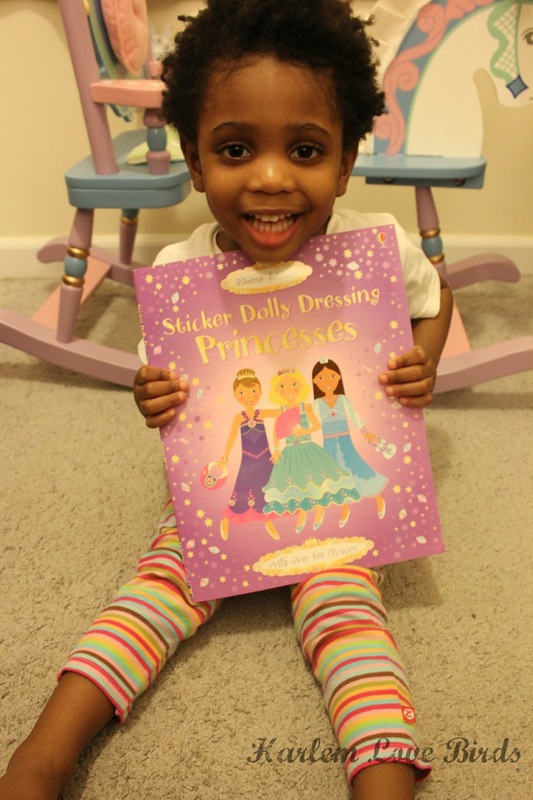 Although Nia is 2 1/2 I selected the 3+ Sticker Dolly Dressing Princesses because princesses and stickers are her current obsession. While Nia wasn't able to remove the stickers on her own and affix them precisely, it was a fun mother-daughter activity for us to do together and she was very focused and excited to do it! Nia especially enjoyed her second book The Little Book of Farmyard Tales - a fun compilation of stories to encourage reading readiness. 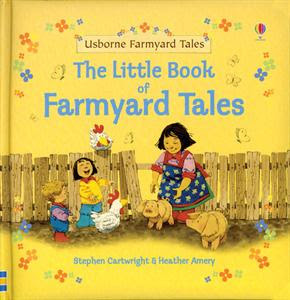 The book tells the adventures of a family farm and follows the mishaps the animals get themselves into which held Nia's attention. I was surprised that after only a couple nights of reading The Little Book of Farmyard Tales she was able to remember the characters' names on her own - this was at bedtime after a busy day of activity too! 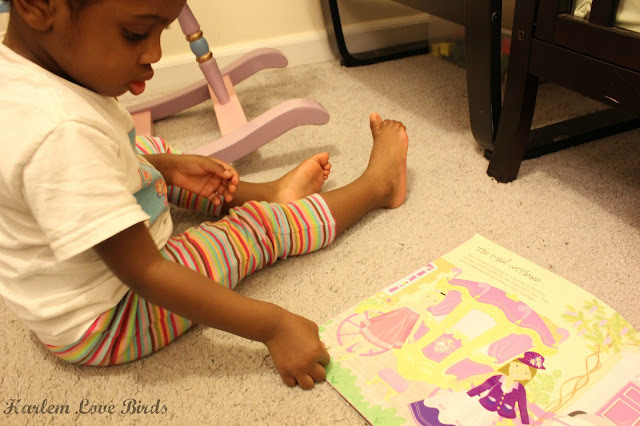 Do you have a little reader in your life who would enjoy new books for spring? Well NYC Kids Bookshop has offered to give one lucky reader $30 worth of books! The giveaway ends Thursday, March 21 with the winner announced Friday, March 22 (open to U.S. residents only). As always my Rafflecopter giveaway only has one mandatory entry with all others being optional. Good luck! Families and individuals that want to place an order, or see the latest in Usborne Books and Kane Miller can contact NYC Kids Bookshop to schedule a personal appointment, shop online, phone-in or mail orders. NYC Kids Bookshop services the U.S. and APO/FPO U.S. military bases overseas as well. Disclosure: I was provided with two books to review for this post; all opinions expressed are my own.